Find hotel near Kawasan Wisata Eks Pelabu .. There is almost nothing of significance to do here, but if you’re passing by, it’s worth stopping to make a quick note of this place. This was the historic harbour of Singaraja. It is no longer in use, but the views on the oceanfront are still nice. Don’t expect sands and surf. 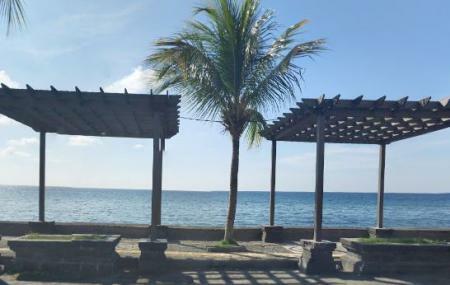 Do walk out onto the pier; it has good cafes in a location that is unique in Bali. You may want to take a break from drive, or have a bite to eat at a place with a nice view. Altogether it’s a quick but charming stop. How popular is Kawasan Wisata Eks Pelabuhan Buleleng? People normally club together Medewi Beach and 7 Air Terjun Sambangan while planning their visit to Kawasan Wisata Eks Pelabuhan Buleleng. Nice place to have a drink or meal while the sun sets. Easy to find. There are some restaurant on the beach. A lot of plastic and trash in the water. Some people throw the trash on beach .